Mare is trying to hide away from the Prince who betrayed her and now with the exiled Prince and a few other familiar faces she tries to find the people on the list. However the task itself is a suicide mission. She will have to face Maven and continue the rebellion. 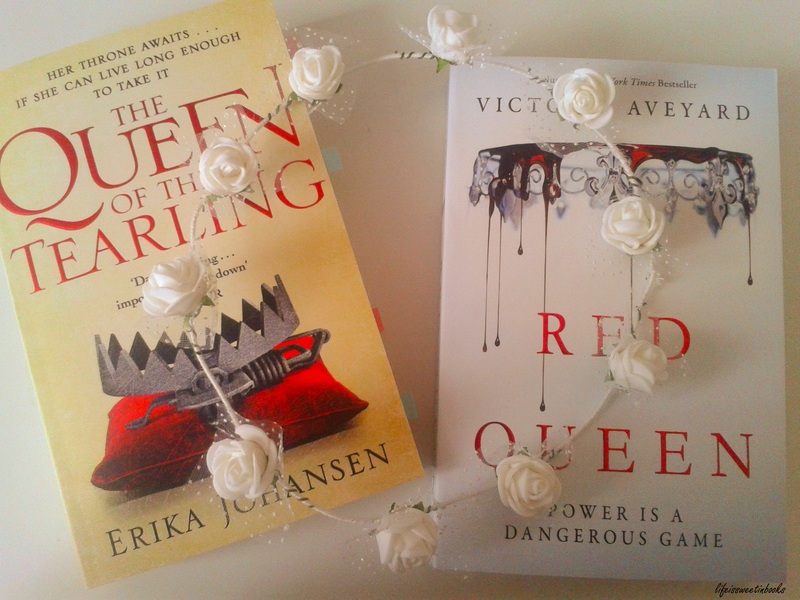 Just before I start this review I think you should know that I didn`t enjoy Red Queen (the first book in this series) and you can read my review here. However I got the chance to read the second book and I thought should give it a go because sometimes I enjoy the second book more and we can`t always judge a series on the first book. Glass Sword carries on the plotline from Red Queen where the protagonist Mare is trying to find newbloods to overthrow Maven. The process of finding the newbloods isn`t an easy task but the main difficulty of it is having Cal beside Mare because many reds don`t trust him since he is a silver. I was quite apprehensive with the plot at first because I have realised the second book in a trilogy is usually about a group of characters that are continuing their journey and so the plotline isn`t very interesting. The same thing happened in this book, there wasn`t any exiting twist and turns during the first half of the book and this made me lose interest. Although for a large part of the book it is based on Mare finding out about herself and coping with relationship problems that I`m sure any teenager will have to face- this made the story more realistic and brings reality back into this damaged world where reds and silvers are separated. The writing of this book was average so I could read the book without struggling and I think this made my reading experience much better because at certain times in the book the plot would just drag and there were those “inspirational quotes” or quotes about “finding yourself and doing what it right”. During these parts of the book my concentration decreased and I just wanted the action part to come! Although I didn`t have to wait that long because there were raids and Mare finding out what she had to do. In this book I saw Mare grow up a lot more into a young adult and in a way you can see her blossom. However I was quite frustrated with Mare and Cal`s relationship! Why did Mare have to keep pushing him away? On the entertainment side I enjoyed reading this book because I wanted to know what was going to happen. I wanted to see where Mare`s plan of recruiting new bloods was going and the plot twist in this book was unexpected. Even I didn`t suspect what would happen and I normally predict plot twists. Overall this was an enjoyable read but it lacked pace and it was dominated with Mare trying to figure out herself and what to do. Apart from that I enjoyed the world building, however it would have helped if there was a map, and I liked how every aspect of the book was unexpected (I was sometimes afraid to turn the page in case something bad would happen).